I got to attend a little event downtown this week at APO. 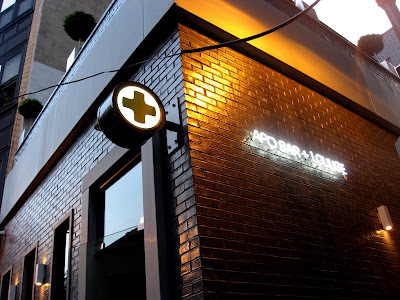 It used to be called Apothecary, but I remember hearing that they had to change their name since they weren’t an actual apothecary. It’s a bar. And a pretty cool one at that. They’re not normally open on a tuesday night, so we have the place to ourselves. That was pretty cool. 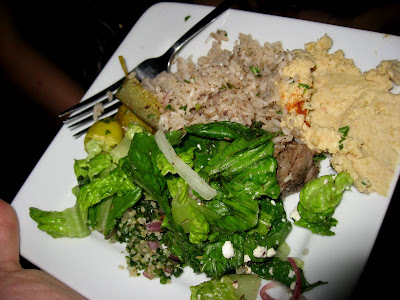 The event featured some food from Leila Cafe, a fairly new middle eastern joint. Honestly, I wasn’t too crazy about the food. The hummus was too salty and a bit too dry. The rice and chicken/lamb dish… the chicken and lamb were good, but the rice wasn’t, and it was overloaded with cinnamon. I could see all the cinnamon powder on it. Eek. The dolma were pretty good. They had little falafel disks (not balls) that were the best of the offerings this evening. I don’t really see myself going to Leila to check it out myself. I think there are better middle eastern offerings around. 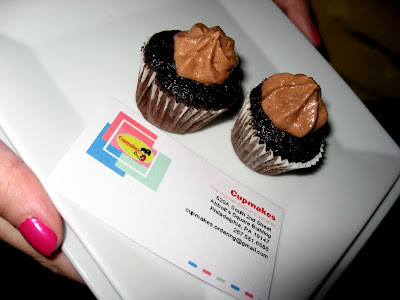 There were also mini cupcakes from Cupmakes, a very young cupcake place. These little things were adorable. A might on the dry side, but the frosting made up for it. It was banana chocolate. Incredibly banana-y and delicious. There were also a number of special drinks for the evening. 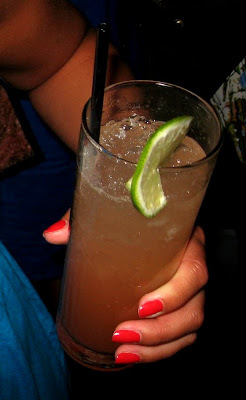 This is the blood orange swizzle. Really tasty. You could hardly taste the alcohol. Since this is a fancy drink place, they make each individual drink to order. So there were long lines. It was annoying. I can see on a normal night doing this. But when there are only 5 drinks on the menu, and hundreds of people are going to be ordering the same drink, it wouldn’t kill you to make bigger batches. 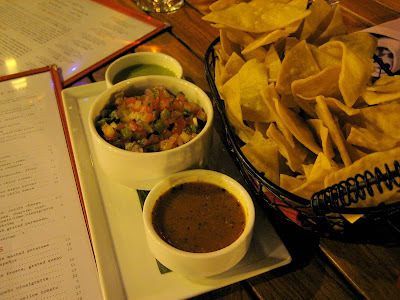 We didn’t get quite enough food, so we stopped by El Vez for a little snack since it was right down the street. 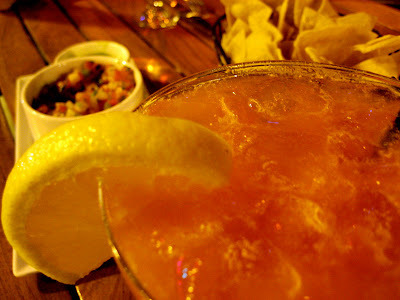 The salsa mexicana. They all had a bit of a kick. Now these chips. Let me just say something about these chips. They were crunchy. But they were super greasy. Beyond greasy! It just seemed ridiculously greasy. I think they could totally degrease these a bit. I was driving, so I had a virgin strawberry margarita. I know how strong their typical margaritas are, so I knew I had to be good. Damn it if these virgin margaritas aren’t freakin tasty. I could have drank a giant pitcher of this. Gah. So damn good. Since it cooled down a bit, we enjoyed the drinks and chips outside and it was a lovely evening.